Despite recovering from a high fever and hospitalization Friday and a bum elbow, IWGP heavyweight champion Tetsuya Naito rallied Saturday and will be in action against ACH as part of the ROH/NJPW Global Wars event at New York City's Terminal Five. It was unclear yesterday and today if he would be able to wrestle on tonight's show due to his many ailments. As one of the most popular of the New Japan wrestlers on the current tour, he had noted long autograph lines for him this year when last year on this same ROH/NJPW tour that wasn't the case in the U.S. and Canada. 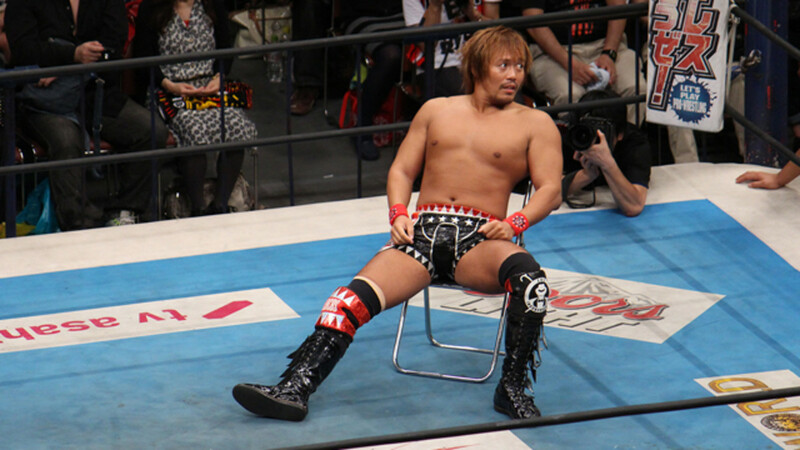 Naito beat Kazuchika Okada at the Invasion Attack PPV in Sumo Hall in Tokyo in April, and will make his next defense against Okada in the main event of Dominion on June 19th in Osaka Jo Hall. Tonight's show was already revamped due to storyline changes as well as a rib injury to The Young Bucks' Nick Jackson. There are a number of other injuries to talent performing tonight including Young Buck Matt Jackson (swollen and bruised hand) and Hiroshi Tanahashi, who was banged up in matches earlier in the week.